Lamar Advertising is bolstering its presence in the Southwest with the acquisition of American Outdoor Advertising, a Phoenix-based company that owns 127 static and 30 digital billboards in and around Arizona’s largest city (making AMO the largest independent billboard operator in Arizona). Terms of the deal were not disclosed. 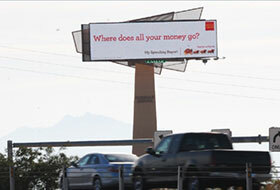 The AMO digital billboards are positioned next to every major freeway in Phoenix, effectively blanketing the car-centric city and allowing advertisers to reach commuters traveling to and from major destinations including Arizona State University and the University of Phoenix Stadium. The digital out-of-home market in the Southwest seems to be hopping lately. 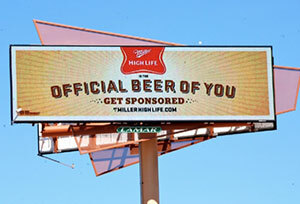 Earlier this week, another Phoenix-based company, El Media, signed a deal giving it exclusive advertising rights to the world’s largest digital billboard, the famous 60-by-308-foot, full-motion LED structure located on the Las Vegas strip. And last month, NEC Display Solutions America announced that it will be installing 900 digital displays at Las Vegas-McCarran International Airport’s new Terminal No. 3, which will be used for airline branding and to provide travelers with flight, baggage and gate information and directions. And in May Elite Media, a Las Vegas-based out-of-home company focused on the local market, announced that it has signed an exclusive deal with the Las Vegas Monorail Company, giving it the right to sell interior and exterior ad space on the monorail system, including LED monitors and light boxes.